Your sweet tooth has met its match. For the first time, the Food and Drug Administration (FDA) is recommending a limit on the amount of sugar consumed per day. According to The New York Times, the FDA has set the cap at 12.5 teaspoons, or 50 grams per day, for people three years of age and older. With the latest National Health and Nutrition Examination Survey reporting that the average American eats about 20 teaspoons of sugar a day (with teens and men consuming the most), and a new study confirming that sugar is, in fact, toxic, the FDA news has been a long time coming. The proposed guidelines would recommend that Americans consume no more than 10 percent of their daily calories from added sugar. As the Times notes, that's approximately the same amount of sugar found in a single can of Coca-Cola, but hidden sugars, like those found in bread and ketchup, for instance, remain a concern. Hidden sugars also hide in "healthier" foods, including some yogurts, pasta sauces, dried fruit, and even instant oatmeal. "Wander down any center aisle of your supermarket. Pick up bottles, jars, and boxes at random. More often than not, you're likely to find sugar listed as an ingredient, even if you don't recognize its alias," writes Anne Alexander in her book, The Sugar Smart Diet. 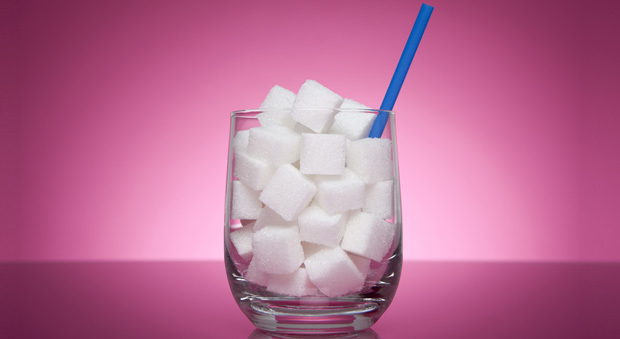 "True to their name, however, Secret Sugars lurk in foods you don't even think of as sweet. These include pasta sauce, frozen entrées (low calorie or otherwise), packages of ramen noodle soup (the sugar is in the packet of broth, which tastes salty! ), salad dressings, ketchup, barbecue sauce, and some deli meats and breakfast sausages." Now, the FDA is on a mission to reveal the true added sugar content in popular supermarket foods. Earlier this year, the FDA proposed a revised version of the uniform Nutritional Facts label that would include a line about added sugars, and urged companies to reveal the percentage daily value of sugars on each label. In addition to the newest development, kicking your sugar habit could finally get easier. This could help consumers better understand how much sugar is naturally occurring, less worrisome sugar (say, for instance, the natural sugars found in fruit or milk), and how much comes from added sources, the real culprit behind obesity and a host of chronic, sugar-related ailments.